Article 13, known by most as the Censorship Machine, has been experiencing setback after setback. Now, we’re learning that there is yet another setback for the notorious copyright directive. A joint letter was recently submitted which is signed by many corporate interests including the IFPI (International Federation of the Phonographic Industry), the international arm of the RIAA (Recording Industry Association of America). 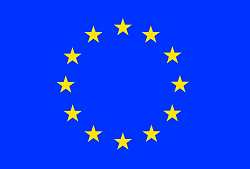 With the final trilogue only days away, European creatives and rightsholders urgently inform EU policymakers that the 13 January draft text of the proposed Copyright Directive does not meet the original objective of Article 13 and urgently requires significant changes. After years of hard work, the Copyright Directive is at a very critical point. The 13 January proposed text circulated by the Romanian Presidency falls below the standard of the three texts produced by the three European Institutions and would not be an acceptable outcome of the negotiations. If you’ll recall, the IFPI has been a major proponent of cracking down on the Internet through article 13. At the beginning of the debates, they said that the directive would go to fix the so-called “value gap”. The value gap, is, of course, an invented term that has been used in multiple copyright debates around the world for the purpose of trying to convince lawmakers to bend laws to their will. The idea is that any and all uses of music should be subject to steep royalty rates. It has morphed over the years even to the point where if something could theoretically be used to record or broadcast sound of any kind should compel creators to send money to the record labels. Anything that falls short of that is labelled as a “value gap” problem. So, really, it’s a nebulous term that can be used to mean anything the multinational corporations deem necessary to get what they want. As the copyright directive dragged on, public support plummeted. Over 4.5 million signed a petition to save the Internet. Realizing that the “Value Gap” talking point simply never gained traction, some in the industry changed tactics and said that it’s all about making YouTube pay more. Of course, that wound up being an incredibly weak argument because, as many free speech supporters pointed out, if it’s about making YouTube pay more, then it’s technically a private matter and not a matter to be solved through public copyright reform. So, once that argument was shot down, the argument for the copyright directive became a vague hybrid of the two arguments. Earlier this week, we brought you news that the copyright directive got delayed again as member states realized that the directive is not in their interests. Naturally, there have been many reforms to the directive. As a result, it seems that major multinational corporate interests in the music industry have dropped support for the directive. The move follows the multinational movie industry who last year dropped support for the directive, saying that it’s too lenient to the Internet. At the time, many critics pointed out that, at this point, almost everyone hates the directive. The record labels have joined the movie studios in denouncing the working version of Article 13, and calling for the impossible: a rollback of the tiny, largely ornamental changes made in order to give the Directive a hope of passing (they were complaining about Monday’s version of the Directive, but the version that leaked yesterday doesn’t fix any of their problems). Now that Article 13 has not a single friend in the world, save for a single, lonely German MEP, maybe it’s time we stopped holding the future of European copyright to ransom for the sake of a few recording companies who are willing to sacrifice the free expression of 500,000,000 Europeans to eke out a few more points of profit. With major corporate multinationals upset with the directive because it might allow platforms to permit free speech on one side and European citizens on the other upset that the directive means that their free speech would be impaired because of the law, article 13 is gradually losing almost all social license in the continent. Arguably, it’s even less liked than ACTA (Anti-Counterfeiting Trade Agreement) of 2012 which is legislation that the industry supported right up to the bitter end. Ultimately, that legislation was overwhelmingly rejected by lawmakers because European’s spoke up about it. So, it’s easy to see that the odds are tilting against the proposed legislation at this point in time. The war to save the Internet is not over yet, but it seems that citizens are still gathering momentum at this point.